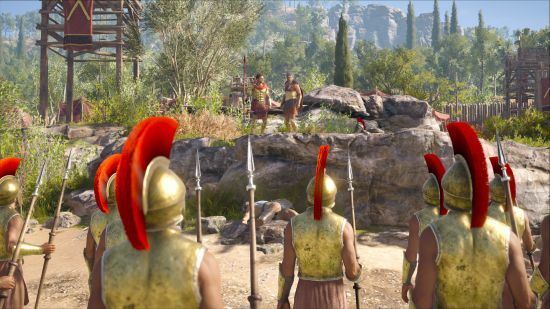 Set about four hundred years before Assassin’s Creed Origins, Odyssey has you deep in the Peloponnesian War of 431BC where Sparta and Athens are duking it out. 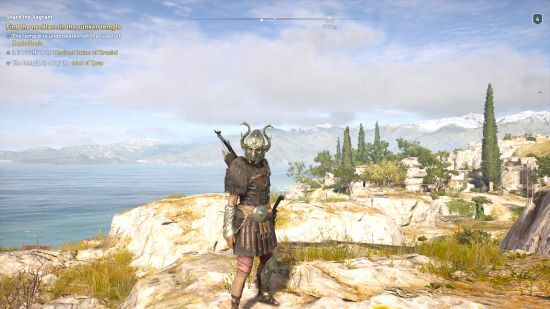 You play Alexios or Kassandra, descended from Leonidas I, the King of Sparta, but you seemingly have no honour to your ancestry as you take on the role of a mercenary and pretty much do whatever you please. Which in turn evokes one of the great additions this time round, other mercenaries. Gain too much notoriety and these unique hitmen will be out for your blood. 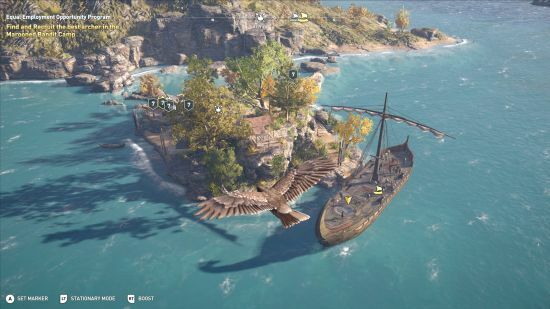 I’m a bit late to the party this time around thanks to a family holiday so many will have played and finished, or added Assassin’s Creed Odyssey to the ‘I’ll come back to it’ pile (come on, we all have one). To me it screams Assassin’s Creed Origins, new era and location but still very familiar. Now this is not a bad thing as you can read here, but it still stays out to the side of the Assassins and Templars of old. 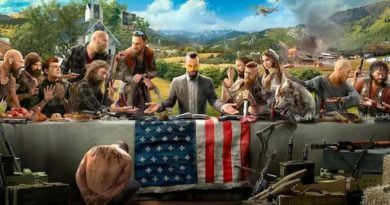 I guess Ubisoft are opening the franchise up and allowing a good game to emerge without staying too true to canon. Lets face it, recent games have all but done away with the Animus and present time sections. Still had the odd niggle with getting caught up on scenery when trying to escape and on horseback things get a bit janky when going cross country. Nothing serious but when games start to look this good it is the little things that stand out. Gameplay is solid and welcoming for returning players. 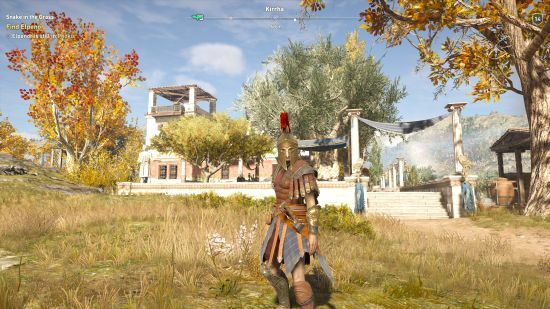 The combat has been tweaked and feels good with the introduction of some serious special moves, including the renown Sparta Kick, which is potentially overpowered if used in the right situation. You can drastically veer away from the path of an assassin if you want with skill trees for Hunter and Warrior alongside the Assassin tree. I spread out over the three but wonder now if specialising would have been a smarter choice. Interestingly you can respec you skills this time round, for a fee of course. 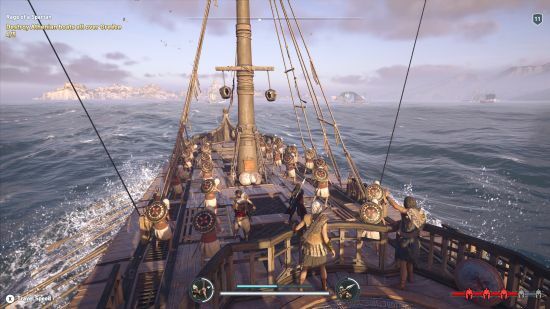 The ship combat is a welcome return but doesn’t really serve any purpose other that helping with the grind for materials. It is good fun though. 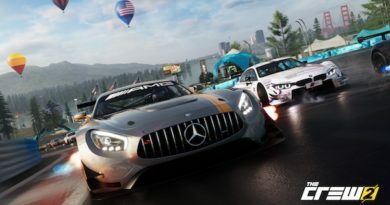 There is plenty of nickel and diming for you if you are the kind of player that needs all the cosmetic content as well as a selection of weapons and other content, including shortcut packs to reduce the grind. Seems this is the way with most Ubisoft games these days. Shame considering how good their games are. One thing I did notice was the cooling fan on the Xbox One X ramped right up when playing. This is only about the third or fourth game that has done this, all being 4K HDR titles. Not sure if developers are able to control this as it comes on right from the start of play so not a heat controlled thing. Be nice if the fan was left to speed up only when needed. I guess I’d prefer some fan noise over a melted console though so will assume they know what they are doing. It’s Assassin’s Creed but it’s not Assassin’s Creed. I tend to think of the last couple of Assassin’s Creed releases as spin offs, this sits better with me for some reason. 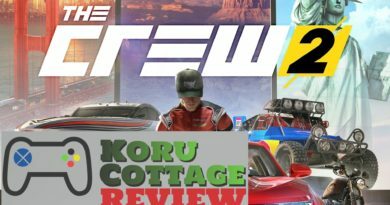 Fantastic game but just moving away from its roots a bit too much. Maybe I have just been gaming too long to let this get to me? 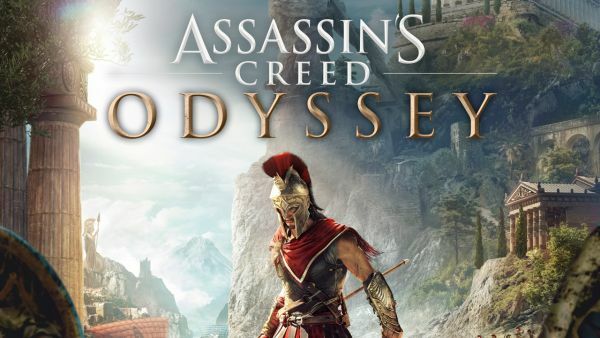 Instead I should just be enjoying Assassin’s Creed Odyssey as a game on its own merits because lets face it, Spartan kicking dudes off a cliff just doesn’t get old.